Sof-tec Primo is a dry Excel polyester spandex fabric with a 4-way stretch and an extremely soft feel to it. Raglan sleeve with a greater range of motion. 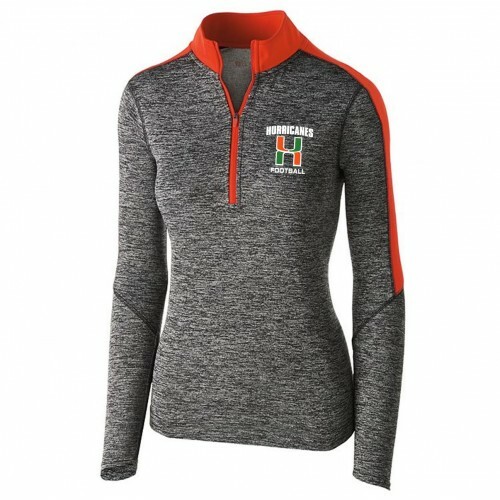 1/4 zip neck line with reflective zipper tag. Spandex bound cuff and hem and thumb holes for the ladies to keep your hands warm.